This badge was issued to Edvin Rustemagic on 10 Oct 2018. GWAPT holders have demonstrated their ability to test and defend web applications and the vulnerabilities associated with them. 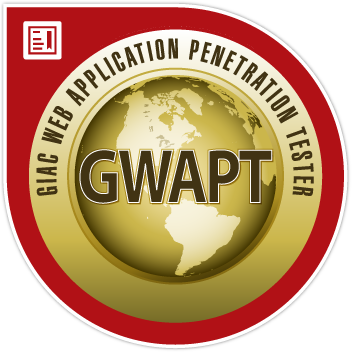 Professionals holding the GWAPT understand web application exploits and penetration testing methodology.